Whether you need to conduct a business meeting on the way to the airport, take your client around town in style and luxury, or travel from meeting to meeting- we stand ready 24 hours a day, seven days a week to offer you cost-effective, comfortable, prompt and courteous corporate transportation services. We will provide a spotless Sedan, SUV or luxury limousine which will arrive promptly at the location you specify to pick up you and/or your associates and guests. A courteous, well dressed, professional driver will open the door for you, and usher you into a vehicle that is the equivalent of a gracious conference room. On the way to your destination you can sit in comfort behind tinted windows and a privacy partition where you can discuss business and use your cellular phone in complete privacy. Or you may choose to just relax and avail yourself of an entertainment console that includes a color TV, CD and DVD players and a variety of beverages. 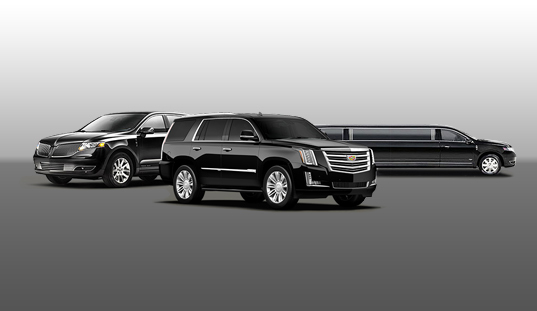 We are prepared to customize the ride to your company’s requirements and your needs and desires. Whether you require transportation for dinner engagements, theatre trips, shopping, or sightseeing you inform us of your requirements and we'll see that you receive the ultimate satisfaction.